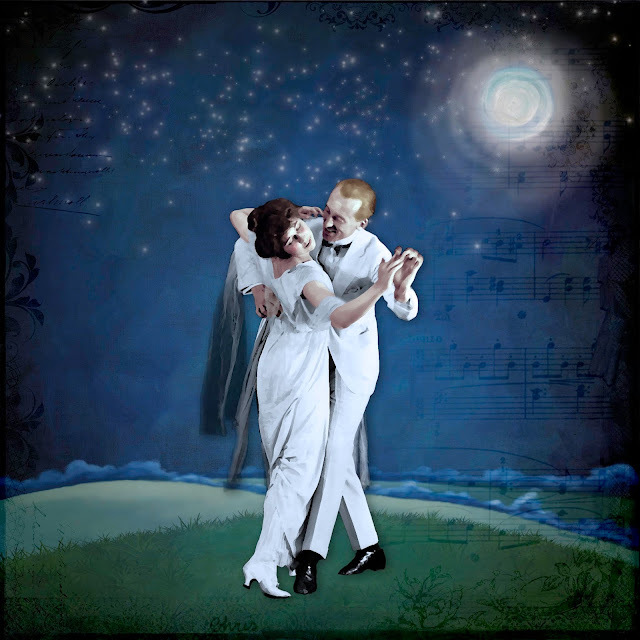 Couple: Vernon and Irene Castle; background and other elements: Createwing Designs; texture: Kim lassen; overlay: Studio Manu. ...and directly there is a wonderfull melodie in my ear! This coupl seems to love to dans and I suppose they are in love, too. Nice feeling! This is magical, Christine. Well done! This is so wonderfully romantic Chris what a great and beautiful take on love...well done. Love IS a dancing thing, and your dancing couple look so in love. A beautiful bit of art, Chris! Gosh, this is really a beauty!!! Oh, a standing ovation from me, Chris.